Home Help Center Trading & Investing What are Orders? 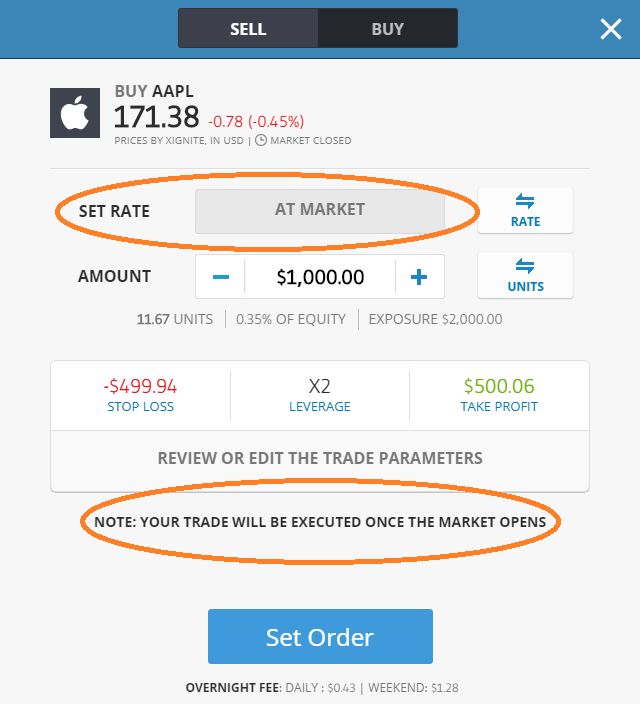 The eToro platform allows you to set two types of orders: market orders and pending orders. You can open a market order whenever the market you wish to invest in is closed, which may be during the weekends or other daily market breaks. Placing a market order means that the trade will be executed at the first available rate when the market opens. 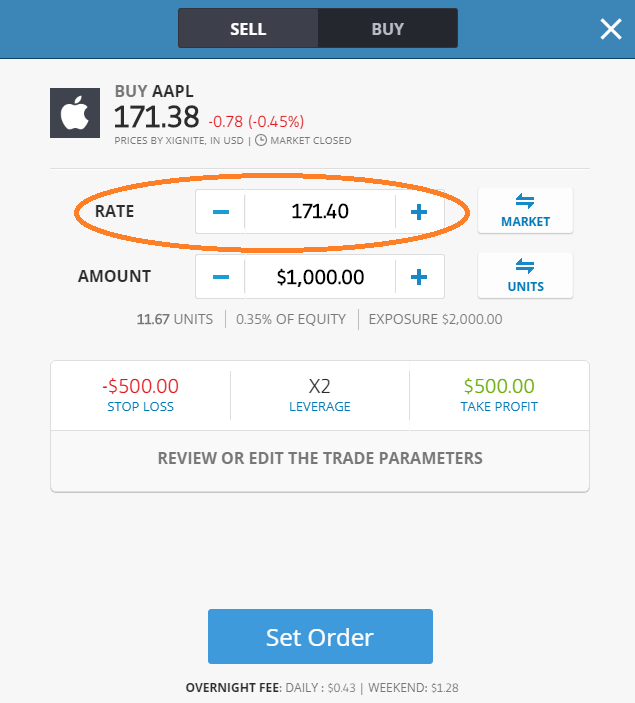 You can open a pending order at any time and your order will be converted to a position when the market reaches the target rate you select in the Open Order window. It may be executed within a range of this rate depending on market movements and volatility. The permitted range varies per instrument. For a full list of market ranges per instrument, please visit this link. If you wish to cancel an order, click on the red X on the right. Once cancelled, the funds allocated to that order will be freed up in your account balance and become available for trading again.